Make these clear colored alcohol ink ornaments in any color you choose with this simple tutorial! I’m still so in love with the wreath that I made for this holiday season. The blues and whites are much brighter than last year’s black Christmas tree and trees of previous years. Making the turquoise and indigo clear ornaments took just a couple of supplies, and you too can make your own clear ornaments, in a variety of colors to match your holiday theme! It’s Day 6 of the 12 Days of Christmas Blog Hop…Handmade Ornaments! Be sure to scroll down and check out all the other amazing ornament projects! So for this project, I prefer to use clear glass ball ornaments. I felt like it took the alcohol ink too long to dry with the clear plastic ball ornaments., and although it worked most of the time, the glass ornaments looked better overall. Remove the top of the ornament and pour 5 or 6 drops of alcohol ink inside. Swirl it around a little bit, then use the can of air to spray the alcohol ink around, using short bursts of air. Add more alcohol ink if needed and repeat with the air. Set upside down to dry. I love using alcohol ink in my crafts, too! 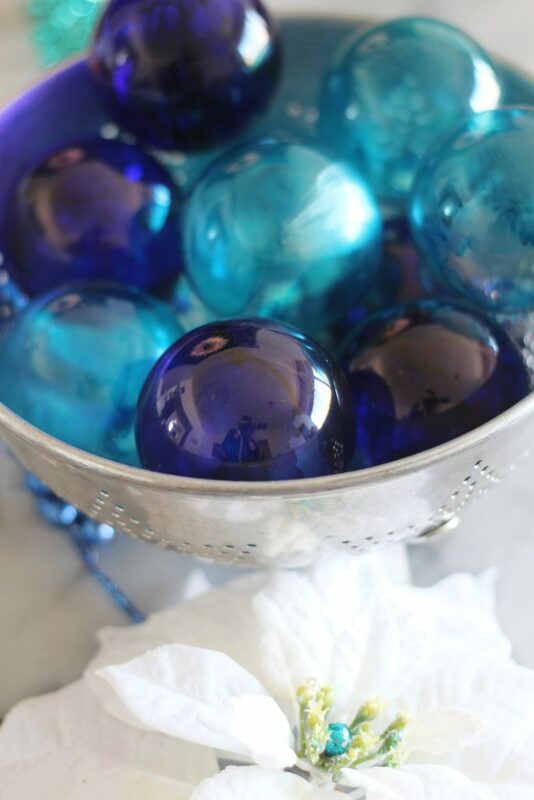 This is a such a great idea to add color to clear ornaments! You have given me a new idea to consider for my purple ornaments! Thanks! These are gorgeous and I love how easy they are to make, too. Your colors are beautiful. These are so pretty and the possibilities are endless for colors. I would love to make these in red! Oh, those are GORGEOUS! 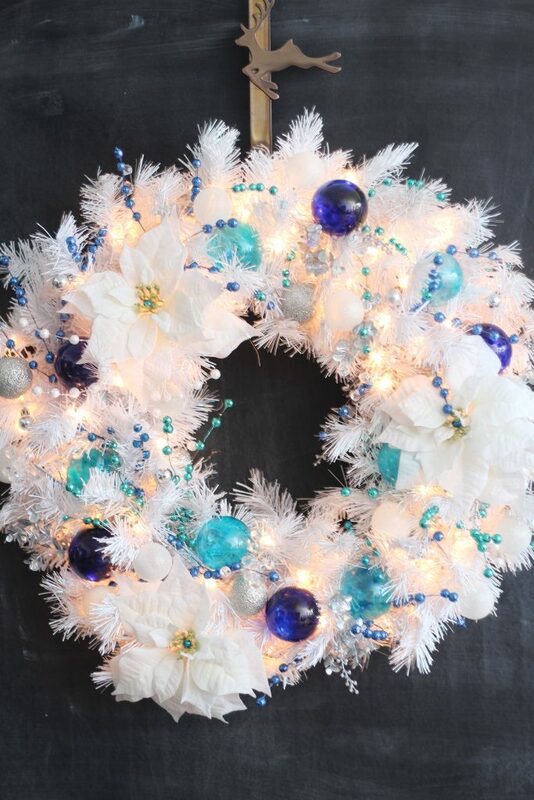 They look practically luminescent on that white wreath. I need to get some alcohol inks and play around! Those are so beautiful! we did some alcohol in k art this summer and have lots of inks left. Thanks for the idea. Pinned. The ornaments are so lovely. 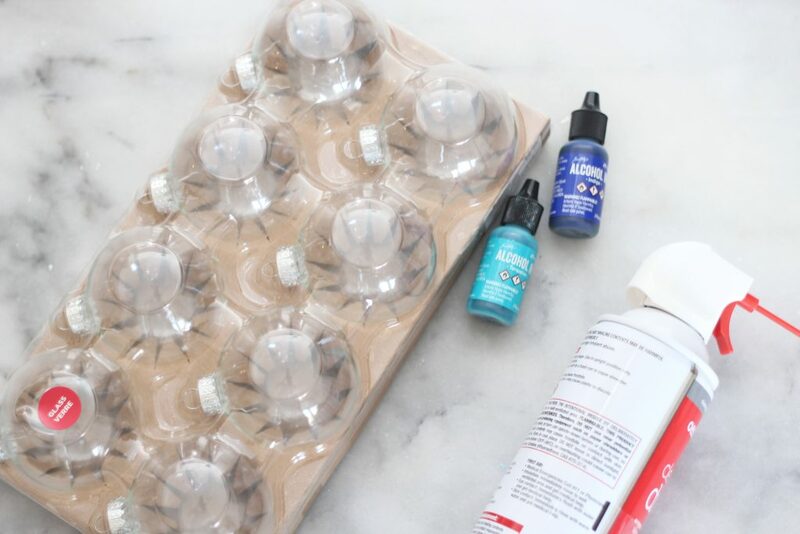 I have the glass balls so I will just need to buy the alcohol ink and try it. These are sooo pretty! They have a lustrous quality that I really like. The colors are so vibrant and beautiful! 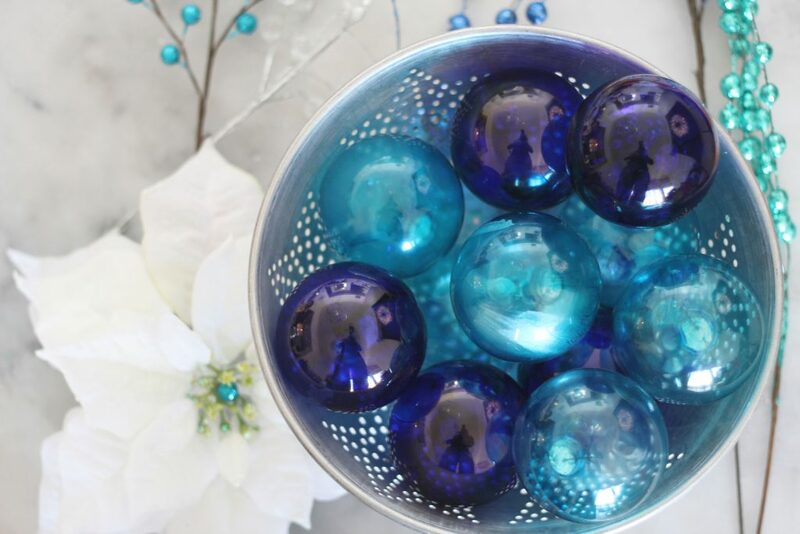 Your Christmas decor is so pretty in all the shades of blue. So easy to make too! I am loving how easy it would be to do custom colors, they look great! Love these! Thanks for sharing with us at the To Grandma’s house we go link party, see you next week!